Come and shop, or just hang out in the festive atmosphere! 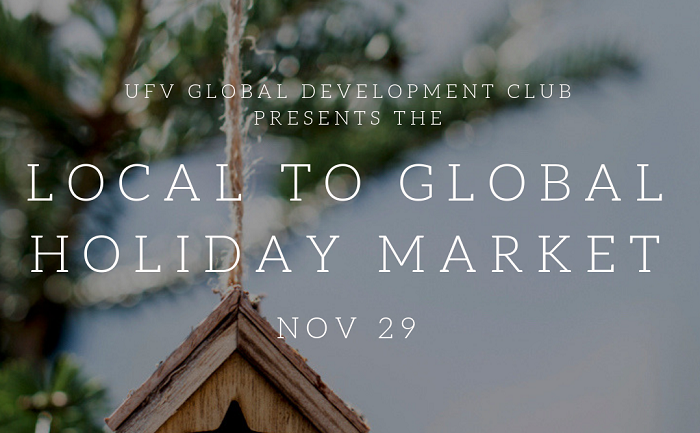 The Local to Global Holiday Market will feature local, ethical and sustainable vendors right here at UFV! This is an opportunity to do some holiday shopping while learning about alternatives to mainstream consumerism.